Compatibilità: Richiede iOS 4.3 o successivo. From Australia Top app - by Heavenspp A+++ From Brazil Fantastic!! - by gilbertoloss Grande app. Desenho grafico refinado e apresentacao impecavel. From Belgium Well done. - by The Mlaure Lots of aspects are covered. The app keeps surprising. From Italy Very happy with this app. ! - by ASeagle I use it often before scheduling my business meetings! From Netherlands I love it - by Layla yalda Beautiful From Switzerland Spettacolare.... - by Ottima applicazione.. Molto completa e dettagliata... From UK Cassieopeia**** - by Cassiopeia576 Great ap - use it all the time. From USA Fun and useful! - by Jimb0nes There's a small learning curve involved at first, but overall it's a terrific app! Awesome app - by Deebish A must get app. If you like astrology you'll love this app.! I use it daily without fail. Give a try you won't be disapointed! Just What I've Been Looking For - by Thelma's Daughter Best moon-phase application I've used yet. Biorhythm info is an added plus+++ The only other feature that would be nice is a more easy to see daily moon phase display. 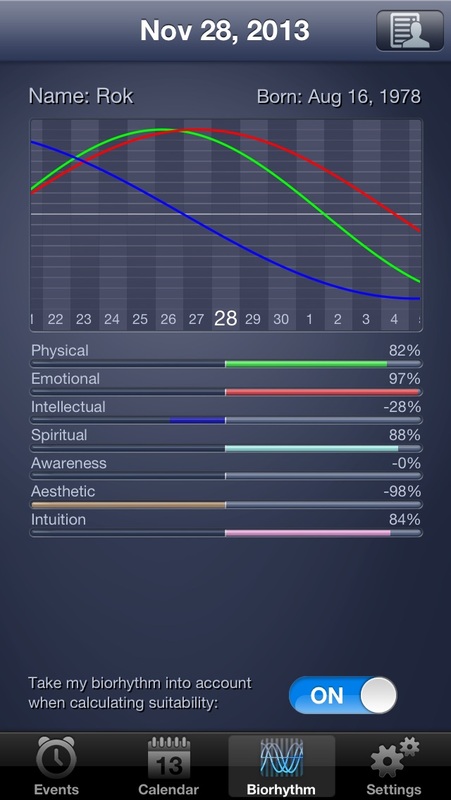 Reiki - by beck321 Love this well thought out app! From Venezuela Organizador - by MHM_286 Hasta el momento es un excelente planificador. 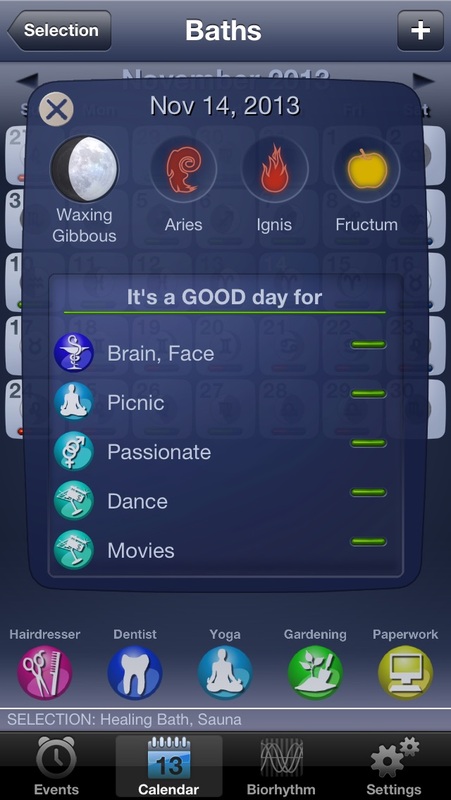 Lots of new features: Additional calendars for Beauty, Health, Home and Life, Biorhythm, Shortcuts to Favorites, Details for each day - just double-tap the calendar and you'll learn all about that day. 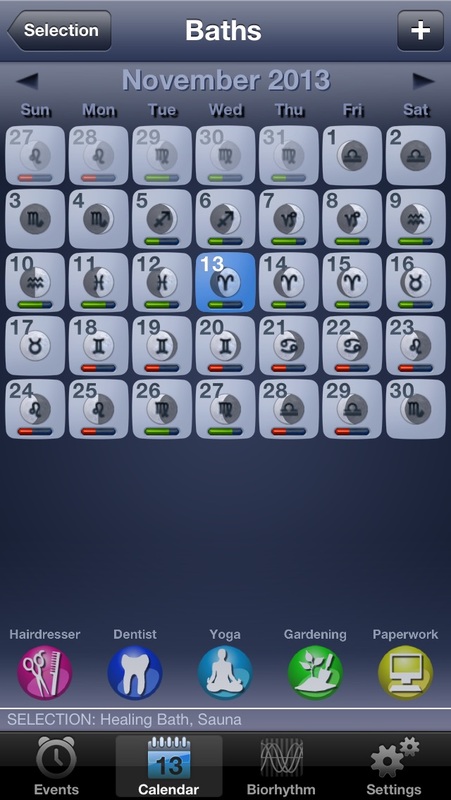 With InApp purchases you can get a lot of cool new stuff and have the best lunar calendar on the market. 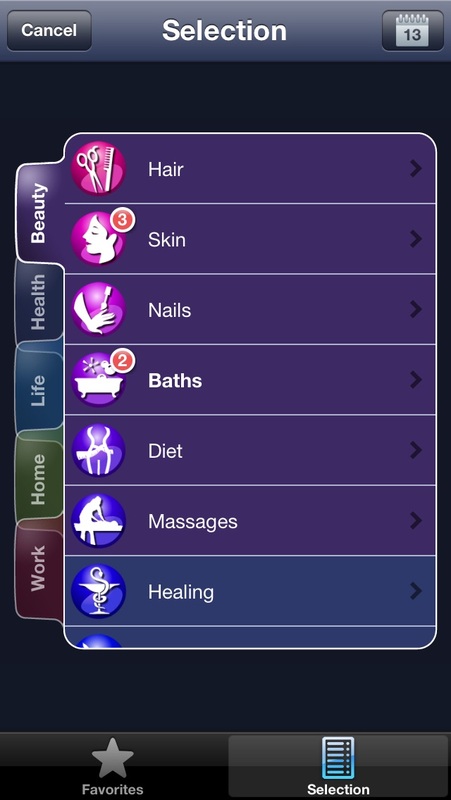 Lots of new features: Additional calendars for Beauty, Health, Home and Life, Biorhythm, Shortcuts to Favorites, Details for each day,... The Moon Planner Work helps you plan your Work tasks, Career choices, Finance and chores Around the House. All with a help of the Lunar phases, Zodiac signs and centuries old common knowledge. And of course some algorithms that calculate all that, so you can plan months and years ahead. Includes calendars for: Around The House (Flooring, Roofing, Painting,...) Career (Job Application, Legal Matters,...) Work Tasks (Planning new projects, Paperwork,...) Sale & Purchase (Budget planning, Finance,...) Features: Shows suitability for activity of your choice Multiple activity combinations Save your favorite selections Finds best day in the time period of your choice Day view shows all good and bad activities for that day Algorithm calculated suitability - Infinite calendar Calculations based on Lunar phases and Zodiac signs List, Day and Month view of your planned events Customize view by turning Lunar phases, Zodiac signs and Suitability on/off Plan your career with some help from the moon! Per favore aggiornate che non funziona più!!!!!!! Ci azzecca, soldi ben spesi! Consigliata! Molto utile. Semplice ed intuitiva. Fantastica e utilissima grazie per la correzione dei problemi!!! Good app but after ios7 it doesen't work! Please adjust! It's a great app combining all you need from a lunar calendar, but please fix the ios7 bugs!!!!! Thank you! Carina ma non sempre veritiera (per fortuna esiste sempre l'individualitá!). Carina ma in realtà è una fregatura! Tutto a pagamento!!!! Posso gettare la mia agenda lunare! Le cose piu interessanti sono a pagamento ma ne vale la pena!! !